The Magickal Herb Oracle offers the precious secrets and ancient wisdom of herbs for you to explore while immersing your soul, body, and spirit in real nature magick. 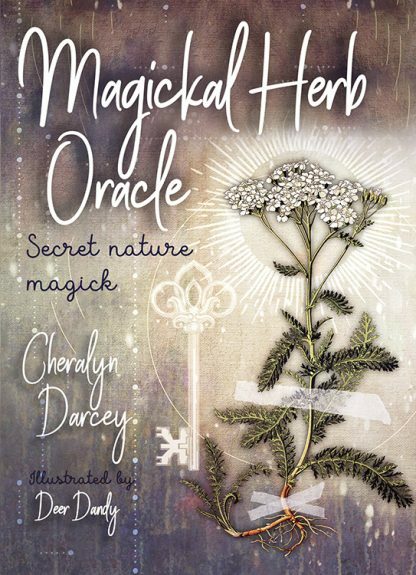 Thirty-six of the world�s most-loved herbs, meticulously researched for their magickal, botanical, traditional, and oracular uses by botanical expert and artist Cheralyn Darcey, are brought to you in stunningly beautiful botanical collages by artist C�line Le Nezet. Learn how to create powerful magick and rituals for everyday purposes or consult the herbs within this deck to construct traditional oracle readings that will help you find divine answers, support, and guidance for a happier, more fulfilled life.